Good afternoon, have you been following our Documented December Series of posts happening each morning throughout December? I know I have been, and shall be spending my Sunday catching up with the last few days. 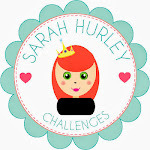 Remember you can join in and share your layouts with us on social media by tagging them with these hashtags #documenteddecember and #sarahhurley. To start I gathered all the supplies that I wanted to use, I had an idea in my head of the colours and the effect I wanted to achieve. 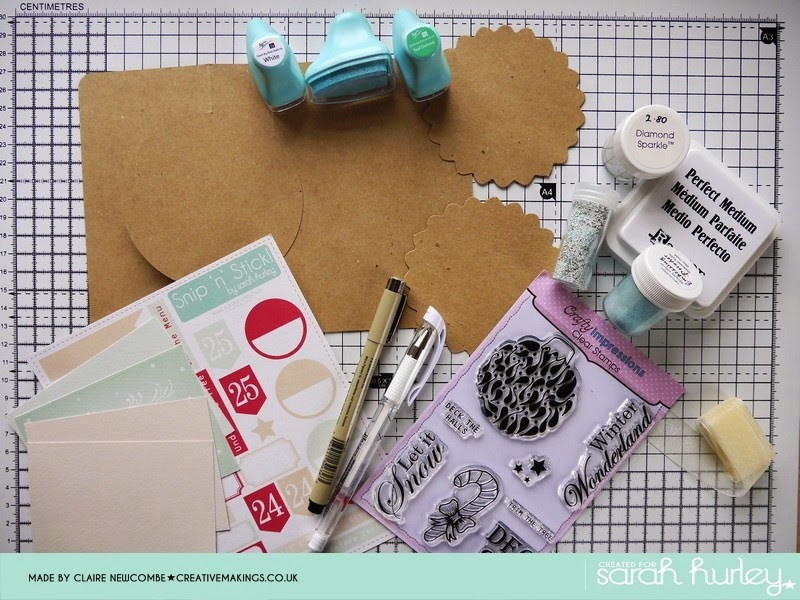 I wanted to stick to these supplies, mainly because I had just tidied my craft desk and and wanted to stay organised. 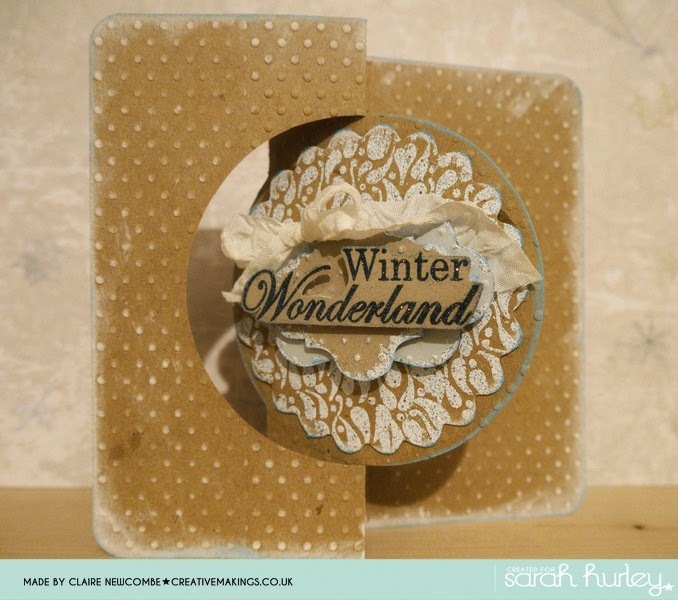 Below you can see what I chose to work with, and other than swapping the ribbon and adding a couple of dies and an embossing powder I managed to stay on track. 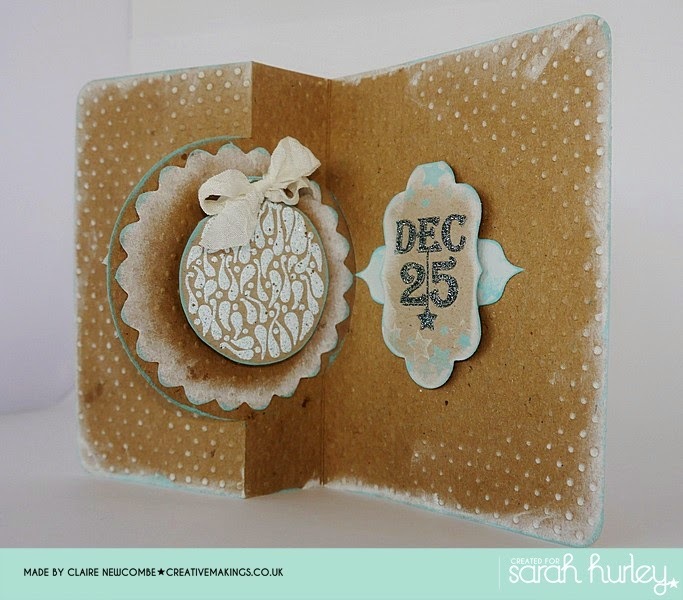 Using the two die cut Kraft circles I created two toppers by stamping and embossing using the bauble and word stamps. 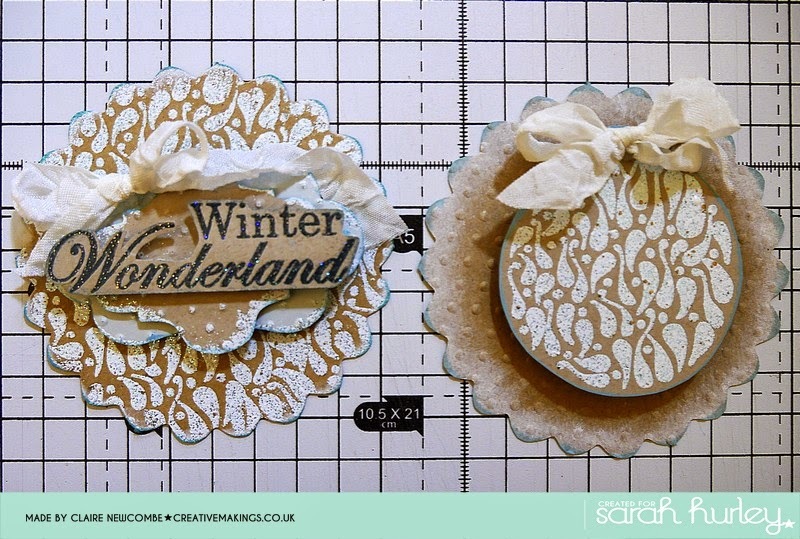 I layered the bauble topper with three hidden layers and silicon gel to create depth, and the worded topper is layered with shaped die cuts. 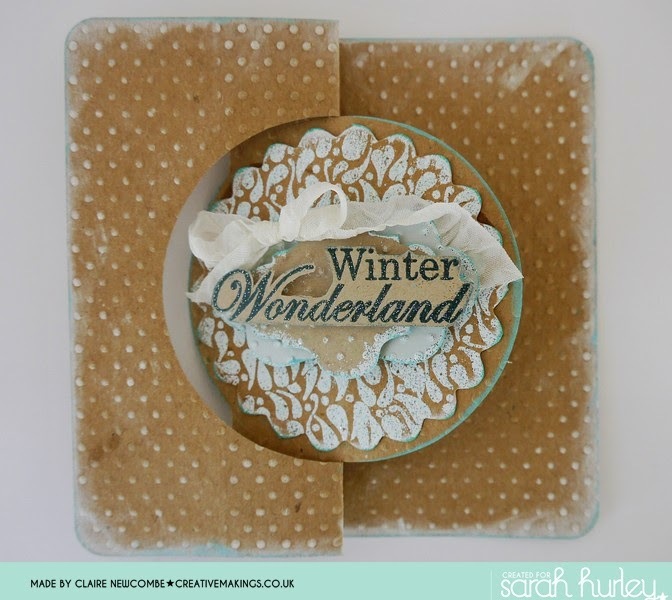 The embossing powder is predominantly white and has blue glitter running through it so there is sparkle everywhere. It was very hard to show the entire card, but you can see the focal of the twister card has a topper on each side of the centre panel. Also to lift the card and add a bit more texture I ran it through a machine with an embossing folder and highlighted it with white ink. Hopefully make a nice edition to someone's mantelpiece. I love this Claire,you have given me an idea how to use the twister cards that you bought me. I love your choice of colours for this project too.